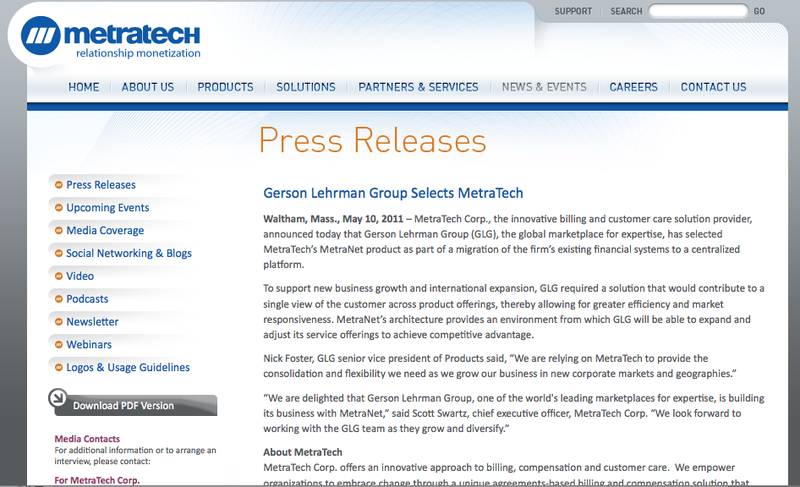 Why did Gerson Lehrman Group outsource payment and contract management to metratech? Strip away all the fancy experts, managers, and front-line service-professionals from an expert network, and you see, at the bedrock of the business, payment and contract management. Why would you outsource that? Why would you give up square one of the organization? True. Payment platforms are commodities. Click-through contracts are procedural, annoying, and available. It’s tempting to let someone else take care of it. After all, a good cook doesn’t necessarily have a farm. In fact, they rely on others to produce the highest-quality ingredients for their recipes. Gerson Lehrman Group isn’t outsourcing individual ingredients. They’re outsourcing the recipe.